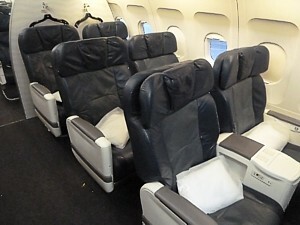 Seat Pitch Economy 32" Business: 55" Envoy Sleeper: 94"
Rating: 3 out of 10 Reviewed from 124 flights with 543 photos. US Airways is a midsized airline operating, as you might expect, out of the United States. 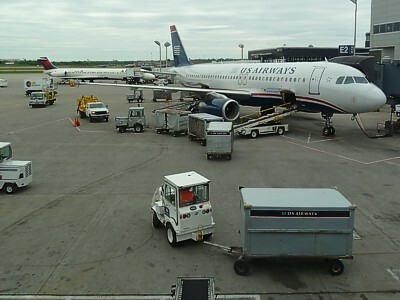 It is larger than you'd expect: US Airways operates over three thousand flights a day to 200 destinations from its hubs in Phoenix, Charlotte and Philadelphia. Primarily a domestic operator, US Airways' routes are concentrated along the East Coast, with a small network around the middle-west, however it is scarcely known outside the USA, and with few connecting international services, it is fairly useless in terms of international links, although it does notch up a respectable 30 international routes. Read more about US Airways' routes. US Airways has moved a long way from being a legacy airline, and instead is now effectively a low cost, no frills operator. US Airways is also primarily known for its poor to non-existent customer service, both in the air and on the ground, which has led some to christen it 'Useless Air'. This to a certain extent is unfair, for it used to occupy a position in quality about halfway between the top and the bottom of American carriers, but in terms of what you get on board a US Airways review is way sub-par compared to airlines in Asia or Europe. 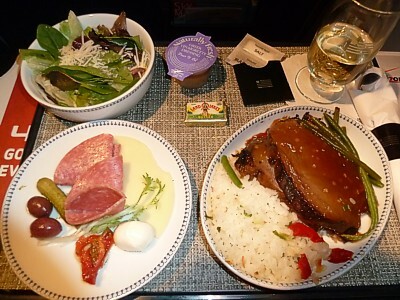 No longer will you get free meals in First Class for example, on flights of less than three and a half hours. Add in checked bag fees, buy on board for food, fees to even to reserve a seat, and no wonder many passengers asked for a US Airways review economy say it is rather like Ryanair. 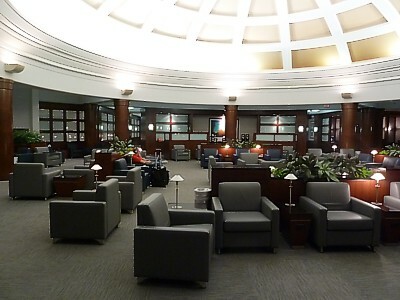 ... read more about US Airways' seats and fleet. It is now one of only two Star Alliance members in the US following the merger of Continental and United, and so you may find you are transferred onto a domestic leg on US from an international carrier: this can come as quite a shock, as US airways are in a race to the bottom for quality, and it now delivers only so-so lounges, a pay-for-everything culture and hefty baggage charges. You need to read carefully what you'll be getting, or you'll get a financial shock. Read more about US Airways' inflight experience. US Airways reviews from UK also highligh a major problem: US Airways is also notable for not being geared up for passengers who are not US residents. Everything must be paid for with a US registered credit card. 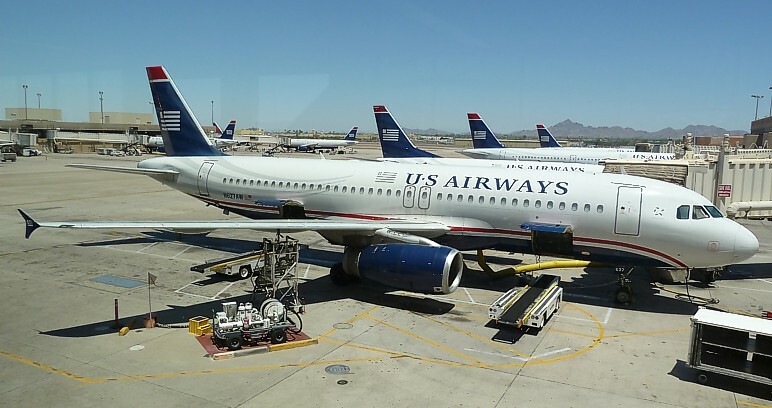 US Airways international flights reviews are poor, because you'll find that even stops international passengers from buying drinks or food on the planes, or even buying their own domestic tickets. There are workaround for most of these problems, but they are expensive. In short, you can complete a journey around America on US Airways, and you can even link from some international destination, but it isn't wholeheartedly recommended, and there are better ways of getting around. Note that all reviews and opinions on US Airways food, service, seats, planes, upgrades, US Airways Club lounges, and the Dividend Miles Frequent Flyer scheme is soley at my judgement. No legal liability is accepted if you take my advice.